Did you know that February is National Pet Dental Health Month? The American Veterinary Medical Association (AMVA) started this awareness campaign several years ago to alert people about the importance of caring for their pet’s oral health. 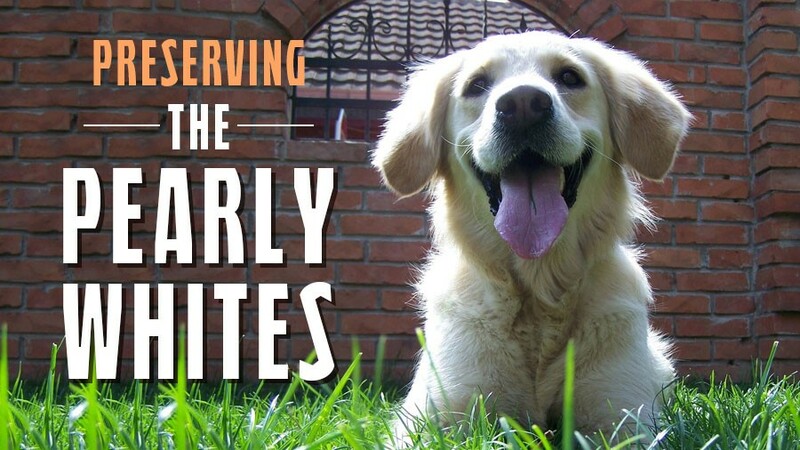 Although most pet owners take excellent care of their dog or cat, they often overlook toothbrushing and scheduling regular professional cleanings. The result is that 80 percent of companion animals have some form of dental disease by the time they reach age three. The Krause Veterinary Clinic veterinary team encourages you to strongly consider the importance of dental health for your pet. It’s a common joke among pet owners that they love their dog or cat’s kisses despite the terrible breath that comes with them. Unfortunately, bad breath is one of the first signs that your pet could have periodontal disease. Oral chews can help disguise bad breath, but eliminating it and preventing periodontal disease requires regular dental care. Left untreated, periodontal disease can destroy the bone of your pet’s teeth and eventually cause tooth loss. Unlike people who can get dentures or implants, there’s no option to replace teeth for pets. This condition, also called gum disease, occurs when plaque, tartar, and bacteria build up and attack your pet’s gum tissues. Once the teeth are gone or badly worn, it makes it difficult for your pet to chew his food and get the nutrition he needs to stay healthy. Other indications that your pet could have periodontal disease include excessive drooling, deeply set stains on the teeth, and reluctance or refusal to eat due to pain. Periodontal disease can range from mild to severe. The good news is that it might be reversible with immediate intervention. We also recommend feeding your pet a diet with no artificial fillers that is high in meat and protein. Please ask our veterinarians for a recommendation our check our online store for specific products. Our staff uses anesthesia during a dental health exam to make sure that your pet remains comfortable and that lack of cooperation doesn’t become an issue. We use special veterinary dental tools to remove plaque and tartar that sits both above and below her gum line. After flushing out the plaque and tartar that we dislodged, the next step is to polish your pet’s teeth from the outside. The final step is to apply fluoride to strengthen the enamel of your pet’s teeth and guard against the future build-up of plaque and tartar. If you can’t brush your dog or cat’s teeth daily, at least try for several days each week. Start the process slowly by purchasing a species-appropriate toothbrush and toothpaste from our online store. Hold these items in your hand and allow you pet to lick and sniff them. The next day, put the toothbrush in your pet’s mouth for a few seconds so he gets used to the feelings. You can then work up to brushing for a few seconds until you’re able to reach a full two minutes. In our online store, we carry all of the items you'll need for keeping your pet's smile bright! We understand that some dogs and cats will resist having their teeth brushed for a long time. Please don’t hesitate to contact us at (586) 784-9111 if you need additional help with the process. Copyright © 2018 Krause Veterinary Clinic. Veterinary Services in Armada, MI.